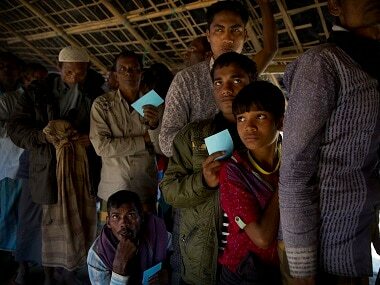 The Union home ministry on Monday filed an affidavit in the Supreme Court on Rohingya Muslims' deportation to Myanmar, calling them a "security threat to India", according to media reports. The government, according to the News18 report, told the Supreme Court that the Rohingyas' continued presence in India would have serious national security ramifications. The report added that the petition filed by Rohingya refugees, is being argued by senior advocates Fali S Nariman, and Kapil Sibal. The Centre has said that the fundamental right to reside and settle in any part of India is available to citizens only. No illegal immigrant can invoke writ jurisdiction of the court for enforcement of Fundamental Rights enjoyed by citizens only, the Centre further said. The Supreme Court has said that it will hear the matter on 3 October at 2 pm. 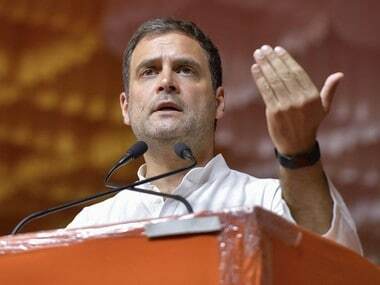 The Centre has responded saying that it would place all intelligence inputs before SC on October 3 to prove its claim that Rohingyas are a security threat, reported The Times of India. Home Minister Rajnath Singh on 15 September said that the government would inform the Supreme Court on its stand on the Rohingya immigrants on 18 September. The Supreme Court fixed Monday for hearing a plea challenging the government decision to deport Rohingya Muslim immigrants back to Myanmar. An affidavit on the issue, which the government had said was just a draft and was being worked upon, was leaked after it was inadvertently served on the counsel for petitioner Muhammad Salimullah. A letter written to the petitioner's advocate by the Central Agency Section — which deals with cases relating to the central government in the apex court — said that it served the copy of "unfinalised" affidavit "by mistake". In the draft affidavit, the Centre had said that there were "contemporaneous inputs" received by it that indicated links of some of the unauthorised Rohingya immigrants with terror organisations based in Pakistan and Bangladesh. The Centre said it was found organised network of agents and touts facilitating illegal migration of Rohingya. "It has also been found that many Rohingya figure in the suspected sinister designs of Islamic State and other extremist groups who want to achieve their ulterior motives in India including that of flaring up communal and sectarian violence in the sensitive areas of the country," read the draft.